In blender, place beans, 1/2 cup water and 2 teaspoons instant coffee. Cover; blend on high speed 30 to 60 seconds or until smooth. In large bowl, mix bean mixture and brownie mix until well mixed. Spread batter evenly in pan. Bake 16 to 18 minutes or until toothpick inserted 2 inches from side of pan comes out with moist crumbs attached. Cool completely in pan on rack, about 1 hour. In small bowl, mix 2 tablespoons water and 1 teaspoon instant coffee until dissolved. Add powdered sugar and cocoa; beat with whisk until smooth. Spread over cooled brownies; let stand 15 minutes. Cut into 5 rows by 4 rows. Coffee brings the flavor out in chocolate and makes it taste even more intense. 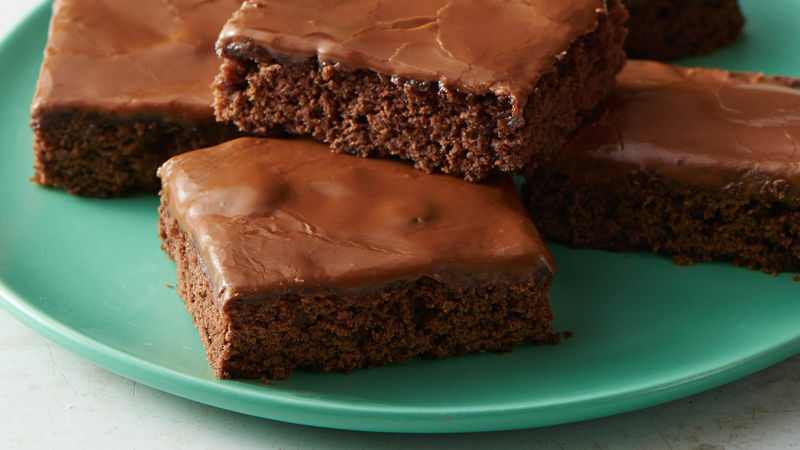 Pureed black beans give these brownies loads of moisture, but don’t give them a beanie flavor. Try lining the pan with foil, leaving an overhang that will help you lift them out of the pan for easier cutting.